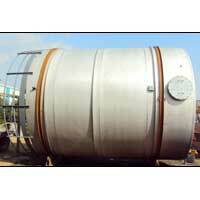 Rahul Engineering Company has carved a niche as one of the overriding Engineering Products Manufacturers and Exporters from India. 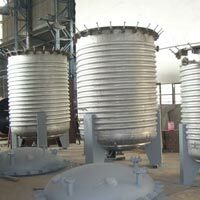 Accompanied with latest technology machines and qualified team, we provide high quality and utility Liquid Storage Tanks, Brewery Equipment, Pressure Vessel, Chemical Reactor, Copper Distillation Vessel, GMP Vessels, etc. Rahul Engineering Company has carved a niche as one of the overriding Engineering Products Manufacturers and Exporters from India. 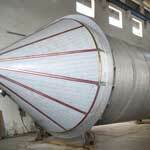 Accompanied with latest technology machines and qualified team, we provide high quality and utility Liquid Storage Tanks, Brewery Equipment, Pressure Vessel, Chemical Reactor, Copper Distillation Vessel, GMP Vessels, Shell and Tube Heat Exchanger, U-Tube Heat Exchanger etc. 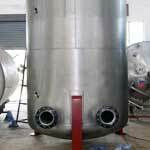 We offer Pressure Vessel Fabrication services of matchless quality keeping end vision of the valued clients in the mind.